NOTE: I’m posting this review and the next one as part of the Classic Movie Blog Association’s “Fabulous Films of the 30s” spring blogathon. 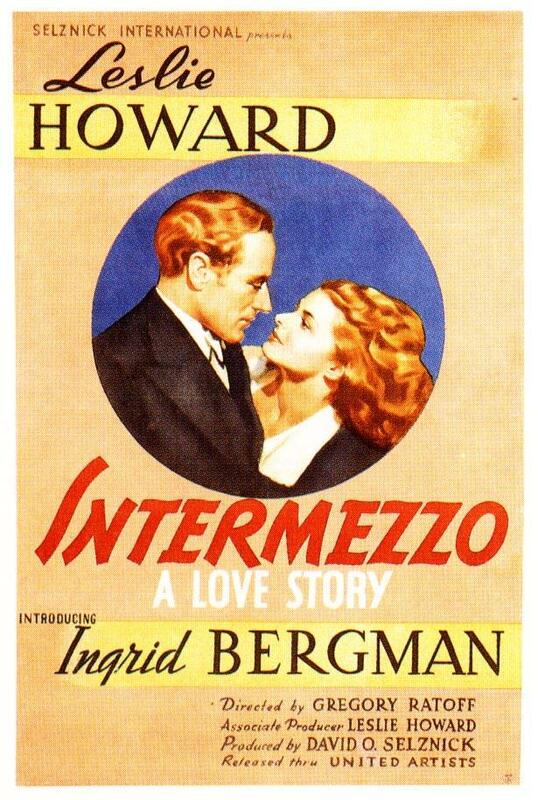 When I committed to writing about “Intermezzo” (both versions), I honestly didn’t know whether they would classify as ‘fabulous’ or not, since I hadn’t watched the 1939 version in many years, and had never seen the original. While both unfortunately failed the test of fabulous-ness (they’re not “must-see” classics of the decade), their luminous star — the inimitable Ingrid Bergman — is as classic and fabulous as they come! So, I’m happy to introduce you to both Bergman’s first Hollywood film, and the film responsible for bringing her to English-speaking audiences. 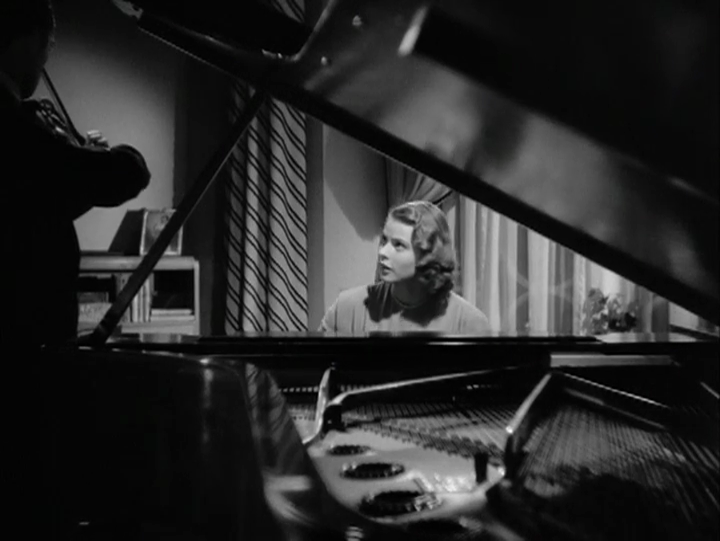 A talented pianist (Ingrid Bergman) giving lessons to a young girl (Ann E. Todd) falls in love with Todd’s father (Leslie Howard), a famous violinist whose long-suffering wife (Edna Best) realizes their marriage is at risk. 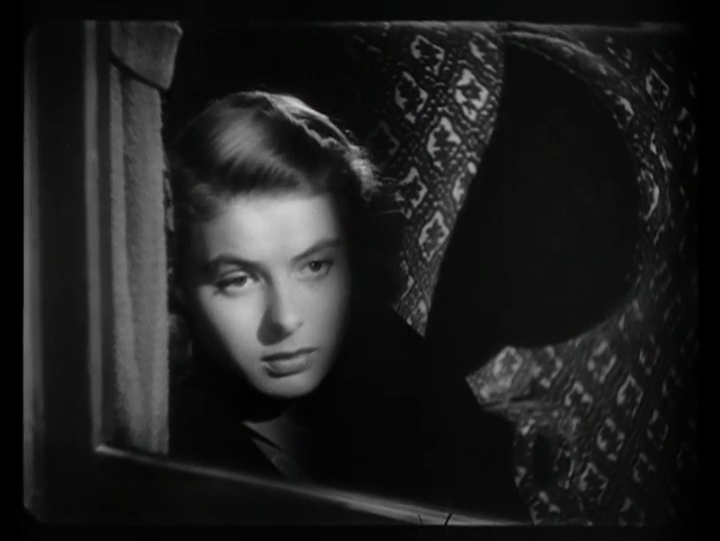 Ingrid Bergman was wooed to Hollywood by David Selznick after he witnessed her stunning presence in the 1936 Swedish romance Intermezzo (1936), which was remade in English nearly scene-for-scene several years later. 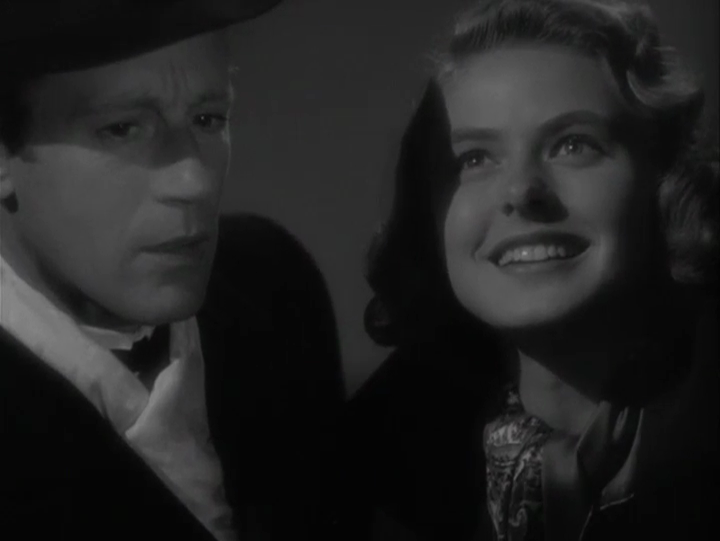 In both films, Bergman’s starstruck young beauty harbors an enormous crush on the famous father (Howard) of her pupil, and ultimately can’t resist her romantic longings. Will things end well for the sinning couple — especially given how sympathetic Howard’s wife (Best) remains? Not likely. The entire affair is presented in an overly tasteful fashion, with characters solemnly making comments such as “Love isn’t sensible” while gazing into each other’s eyes and spending time in beautiful locales. A zither appears at one point, adding a bit of musical distinction and presenting a young girl (Marie Flynn) meant to evoke Howard’s sense of paternal obligation and love. There is ultimately little here to hold onto in terms of narrative; Intermezzo only remains distinctive at this point for its visual classiness (Gregg Toland’s cinematography is impeccable) and for Bergman’s luminous beauty. She’s a delight to watch no matter what material she’s given. No; like its predecessor, this one is only must-see for Bergman fans. I have not seen this film since my teen years when I am sure I must have been caught up in the romance and the music. Bergman is always a fascinating actress and one who always felt contemporary; never a relic of her 1930s beginnings.